600 Posts! A Very Special Thank You! Hey everyone, there are more of you reading this now than there were four years ago when I started this whole thing, and yesterday, Lady Bird became my 600th post here. I can’t believe it. I’ve been writing here for some time and I can’t thank you readers enough for all that you have contributed through kind words, thoughtful discussion, and interesting insight. I wouldn’t be here without you! Here’s a look back at the most popular reviews or pieces that we’ve been a part of here. It’s still a little crazy that the most-looked at review on this site is for a short film prequel to 2 Fast 2 Furious, but to each his own. And now, for one more thing. There is nothing I would love more than for your continued contribution to the discussion. All film is subjective, after all, and I started this site to start those discussions. If you agree with me on a certain film, speak out, let me know what you love about it. If you disagree, let me know your opinion. If you have anything you’d like to see in the future, please feel free to contact us here at almightygoatmanreviews@gmail.com. We would love to hear from you. Hey everyone, I wanted to end our Star Wars Days celebration this year with some fun. My favorite spoof of Star Wars, in fact. Years ago, Saturday Night Live did a sketch outlining auditions for the original Star Wars featuring Kevin Spacey in a number of different impersonations. I present it to you here, now, and for the hell of it. Enjoy! *okay, I couldn’t find the entire video. If someone out there finds it, please link it here. I do have a few snippets though, so enjoy! Hey folks, welcome to Throwdown Thursday on this, the second day of Star Wars. In Throwdown Thursday, I’ll be taking a look back on major conflicts in the world of entertainment, and I thought I would tackle a biggie today by comparing the recent conflict in Star Wars from fans of the franchise young and old. So in October of 2012, Lucasfilm was officially sold to Disney with Kathleen Kennedy running the show in place of George Lucas who had passed the company onto her. Between Disney and Lucasfilm, a group was created to discuss and define what the canon is and should be going forward. Previously, Lucas had a pretty open invitation for people to add to the mythos and it left a sprawling and detailed universe to jump in and in fact, starting with the Expanded Universe was scary. It was daunting and convoluted at times, too. There were even the occasional plot hole created by so many hands in the bucket. After 18 months of deliberating and decisions, Lucasfilm wiped the slate clean, eliminating all the Expanded Universe (now termed Legends) and establishing a simpler canon that can be controlled by a committee that would construct continuity based on the plans of the company and the franchise. 1. The live-action feature films are canon. 2. The Clone Wars movie and television series, including all six seasons, as well as the Rebels television series, are canon. 3. All books, comics, and expanded media released after April 25, 2014 are considered canon unless (in the case of video games) they conflict with the films or higher level canon, which likely won’t happen too often. Legends: There are pros and cons to each. Legends already has a gigantic universe built so there are multiple levels to branch out and do stories. Legends also has a giant fanbase who were excited to see some of their favorite stories becomes Star Wars films. The faults? The Star Wars Legends fanbase pails in comparison with the regular Star Wars fanbase and the general movie-going population. Plus, the convoluted plotlines made for difficulty in adapting the series in any feasible way. Also, it is far more difficult to tell an interesting story when you have to obey every rules, plot point, and character set in stone by someone else years ago with no intent to build a new trilogy. Canon: It is simple and easy to make a committee oversee the new canon and help align it with franchise plans. Star Wars is massive, and it can continue to thrive under a creative team who drive the story path. Cons? They pissed off a lot of people with the elimination of Legends. People that wanted their Star Wars. People that would have been angry either way but especially angry now that their beloved stories are gone. Overall, there are equal points on either side…but there has to be a winner here. Legends was a really cool and expansive world, but not one wholly accessible by the general population who likely didn’t know the further adventures of Luke, Han, and Leia. Canon is a streamlined way to tell a story and will keep the franchise running for years to come. Thanks for joining me today, Happy continued Star Wars Day, and we will see you for the next throwdown! 131 mins. Rated PG for sci-fi action violence. Another year, another excuse to celebrate Star Wars. Hey everyone. Today we are taking a look back on the only Star Wars film we haven’t talked about yet, Return of the Jedi. Han Solo (Harrison Ford, Indiana Jones and the Raiders of the Lost Ark, The Age of Adaline) is still in the clutches of the vile Jabba the Hutt. As Luke Skywalker (Mark Hamill, TV’s Regular Show, Scooby-Doo! Moon Monster Madness) and company hatch their plan to rescue him, the Empire is slowly working on the creation of a weapon more powerful than the original Death Star. Darth Vader (James Earl Jones, The Lion King, The Angriest Man in Brooklyn) and his master, Emperor Palpatine (Ian McDiarmid, Sleepy Hollow, Dirty Rotten Scoundrels) oversee the final touches on the weapon and a final confrontation is set into motion uniting father and son in an epic battle as the fate of the galaxy hangs in the balance in this final film of the original Star Wars trilogy from director Richard Marquand (Jagged Edge, Eye of the Needle). 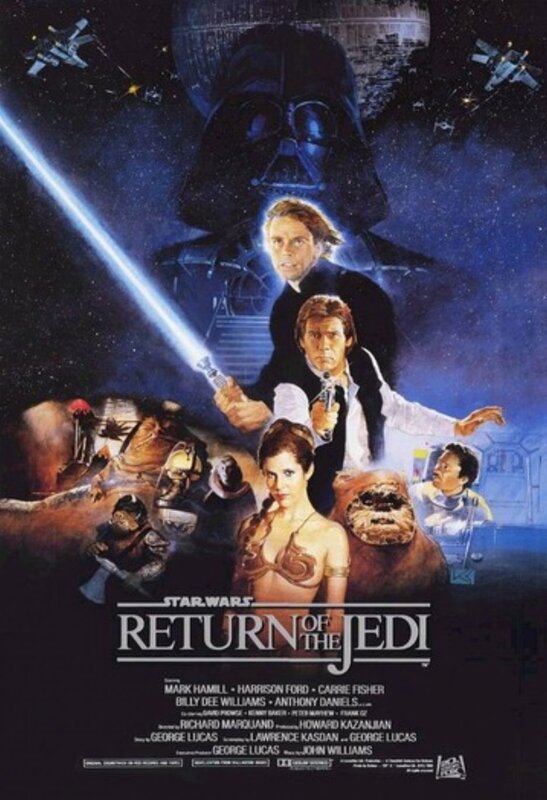 Originally titled Revenge of the Jedi (but then later renamed as Jedi do not take revenge), Return of the Jedi is solid conclusion to the original trilogy. 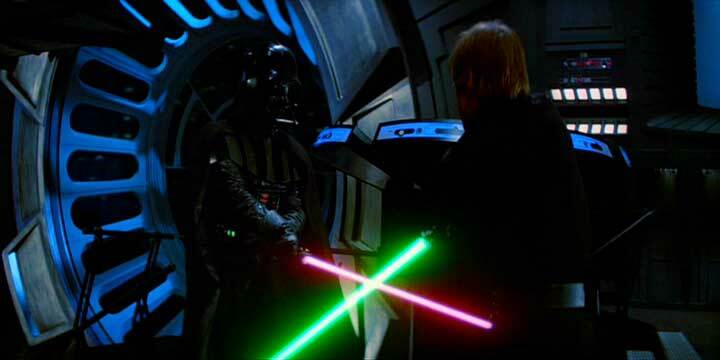 By tying up the remaining plot threads very expertly set up in the previous two films, Return of the Jedi makes an argument for being one of the best installments of the series. The performances from our main three stars are great, the confrontation with Palpatine is filled with excitement and dread, and the redemption of Lando Calrissian (Billy Dee Williams, Batman, The Lego Movie) doesn’t feel overtly forced. The creature effects ranging from Yoda to Jabba the Hutt and Salacious Crumb (yeah, look it up) are pretty amazing for the time period. The use of cutsie-ing the series with Ewoks seemed like an odd choice. Not really bad, but definitely odd. The film spends a bit too much time on Endor. Just saying. Now, back to the positives. The entirety of the opening act on Tattooine? Amazing! Perhaps the best piece of storytelling in the film! The sound, effects, and score? Cannot say enough greatness, especially about John Williams and his ability to craft new pieces with every film that add to the mythology and create a richer musical vocabulary. Just incredible. So, all in all, as I continue on my Star Wars Marathon, I was happy to take a pit stop on Return of the Jedi. The film is often thought of as the weakest of the original trilogy, but I think that is more of a testament to how terrific this series is. Were we not destined to have more films, I would have been more than content at this final chapter (I’m not against more, though, so please continue to deliver, Lucasfilm). For my review of George Lucas’ Star Wars: Episode I – The Phantom Menace, click here. For my review of George Lucas’ Star Wars: Episode II – Attack of the Clones, click here. 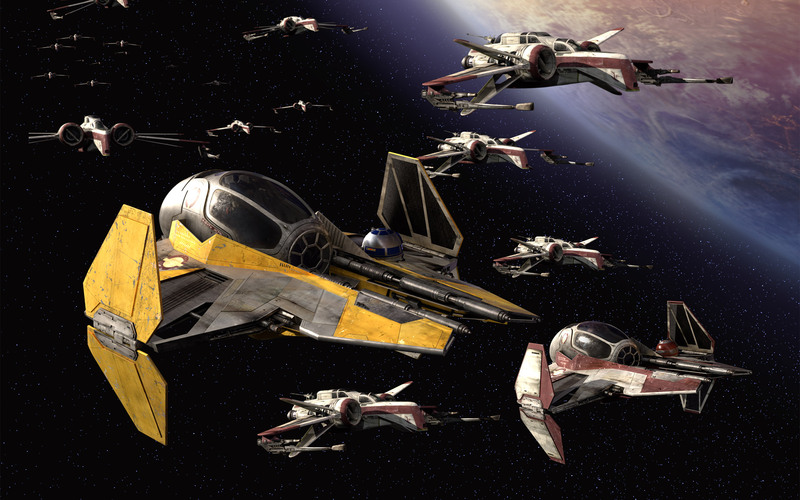 For my review of George Lucas’ Star Wars: Episode III – Revenge of the Sith, click here. For my review of George Lucas’ Star Wars: Episode IV – A New Hope, click here. For my review of J.J. Abrams’ Star Wars: Episode VII – The Force Awakens, click here. 121 mins. Rated PG for sci-fi violence and brief mild language. 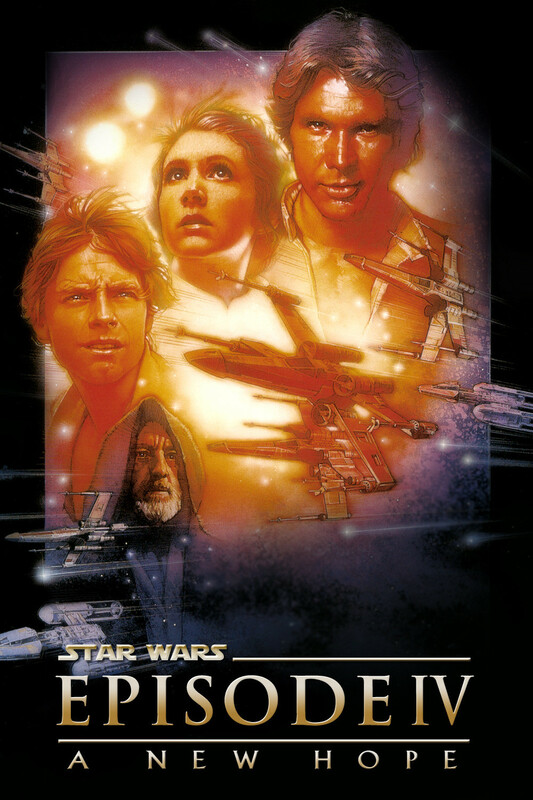 As we close Star Wars Days 2015, we end on the original film in the Saga, Star Wars: Episode IV – A New Hope, from director George Lucas (American Graffiti, THX 1138). In A New Hope, it has been 19 years since Luke Skywalker (Mark Hamill, Kingsman: The Secret Service, Scooby-Doo! : Moon Monster Madness) was dropped off with his uncle and aunt on Tattooine. When the two droids C-3PO and R2-D2 come into his family’s possession, Luke gets swept up in R2’s mission to deliver a message from the captive Princess Leia Organa (Carrie Fisher, When Harry Met Sally…, Maps to the Stars) to the crazy hermit Ben Kenobi (Alec Guinness, Lawrence of Arabia, The Bridge on the River Kwai). When Luke discovers that his father knew Kenobi long ago and is gifted his father’s lightsaber, he is set on a quest to save the princess and defeat the Empire. The original film is still a perfect fantasy/sci-fi masterpiece with great performances, terrific direction, and a nice smooth flow. The special effects still look great (I’m referring to the original special effects, not the Special Edition effects). 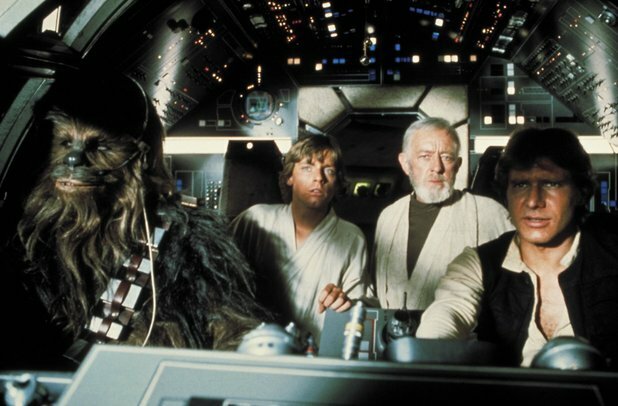 Harrison Ford (Indiana Jones and the Raiders of the Lost Ark, The Age of Adaline) absolutely steals the show as Han Solo, who, alongside his trusty co-captain Wookiee Chewbacca, are hired to assist Luke and Kenobi in rescuing the princess. They are aided by a believable group of performances from a talented cast of newcomers like Hamill and Fisher as well as veterans Guinness and Peter Cushing (Horror of Dracula, The Curse of Frankenstein) as the villainous Grand Moff Tarkin. This is the pinnacle of Lucas’ abilities as a filmmaker. His terrific screenplay and his inability to give up when faced with countless problems directing the picture proved him to be a truly captivating artist with a unique vision. 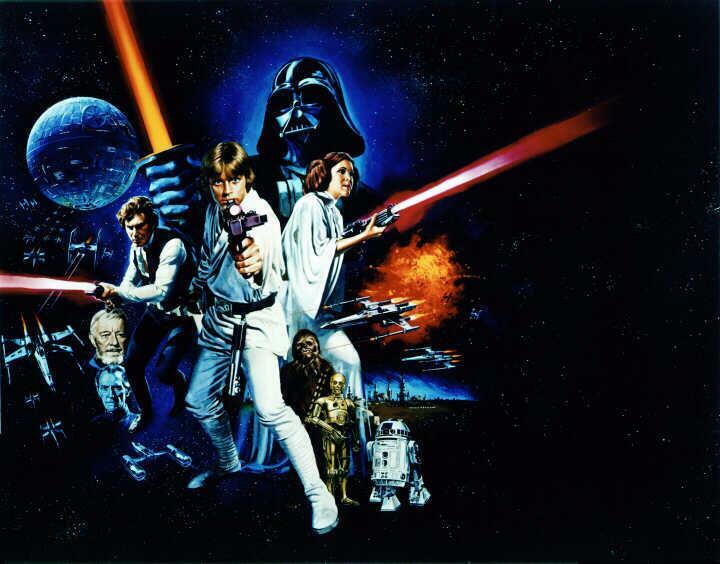 Star Wars: Episode IV – A New Hope remains a perfect film, one of the best ever put to the screen. It has become a pop cultural rock, unable to be moved from the public eye in the 38 years since its release, and I doubt it will ever truly disappear. Perfection. 140 mins. Rated PG-13 for sci-fi violence and some intense images. 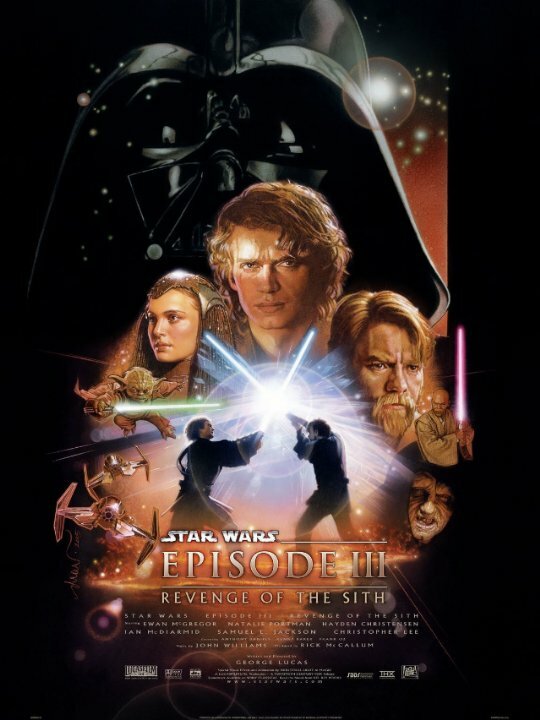 As we continue the tradition of Star Wars Days, on Return of the Jed-Five (it is a term I coined so that I can continue celebrating well into Revenge of the Sixth tomorrow), we will look at Star Wars: Episode III – Revenge of the Sith, the final film in the Star Wars Saga that was released almost ten years ago. Fans have waited a decade for the upcoming Star Wars: Episode VII – The Force Awakens. The Clone Wars have waged for three years, but the battle is far from over. Anakin Skywalker (Hayden Christensen, Jumper, Vanishing on 7th Street) is now a full-fledged Jedi Knight and, along with Obi-Wan Kenobi (Ewan McGregor, Trainspotting, Mortdecai) have been leading armies into battle against the Separatists and the tyrannical Count Dooku (Christopher Lee, The Lord of the Rings: The Fellowship of the Ring, Dark Shadows). 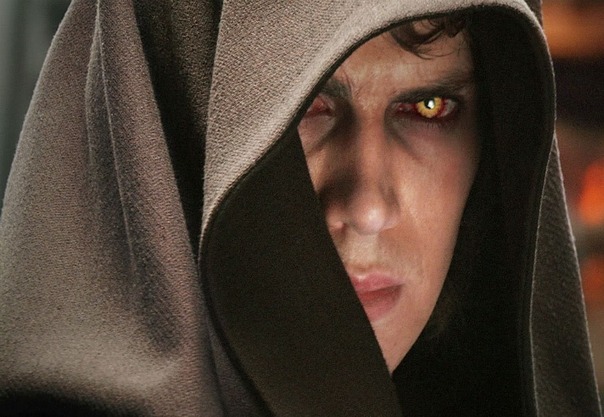 Anakin’s secret marriage to Padme (Natalie Portman, V for Vendetta, Knight of Cups) is further complicated when she discovers she is pregnant, and Anakin’s nightmares of her dying in childbirth lead him towards the dark side and a few revelations about his friends on the Jedi Council and those in the Galactic Senate. 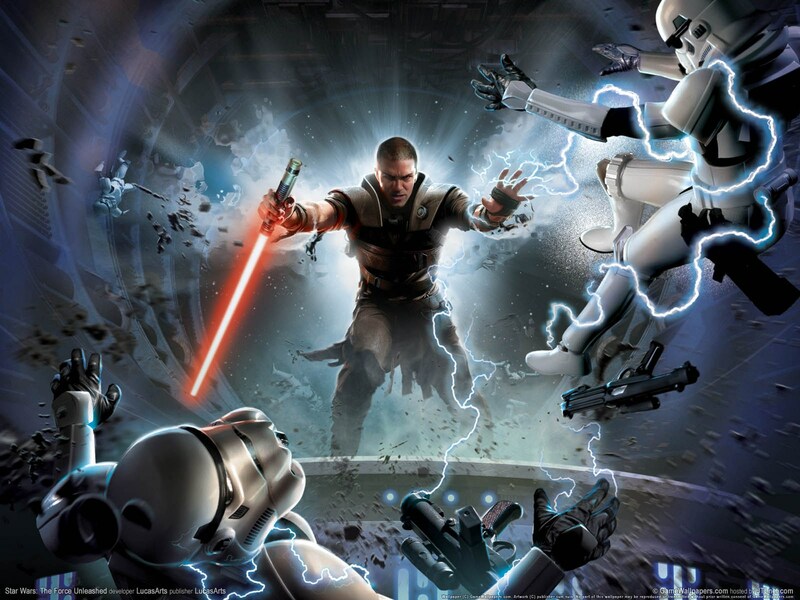 If one were to look at the prequel trilogy, Revenge of the Sith is easily the best in the series. 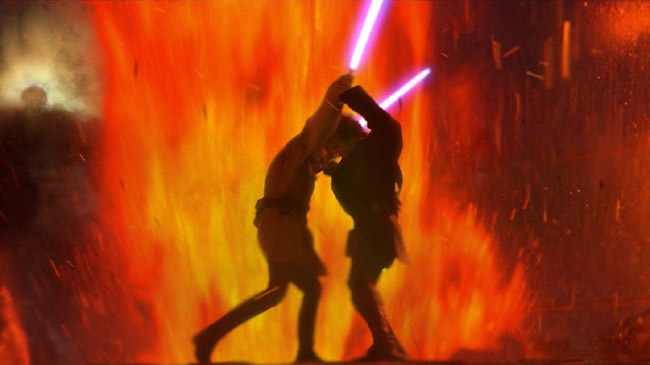 A nearly perfect entry in the Star Wars Saga, Episode III features some of the more incredible action sequences and emotional beats. Hayden Christensen again continues to underwhelm as Skywalker. His performance is carried by Portman, McGregor, and Ian McDiarmid (Sleepy Hollow, Dirty Rotten Scoundrels) as Supreme Chancellor Palpatine. In fact, just about all the performances here with the exception of his are amazing. Director George Lucas (American Graffiti, THX 1138) has learned from his previous mistakes here and gives fans exactly what they want here. 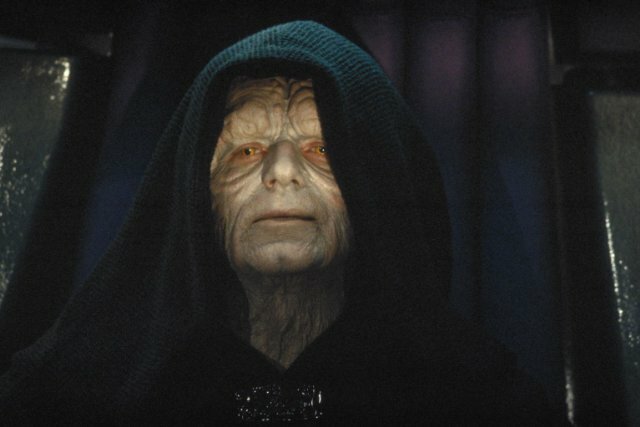 Revenge of the Sith ties up the franchise with a nice little bow. The flow is great, and the opening sequence, in which our heroes attempt to save Palpatine from the mechanical General Grievous, is stunning, with special regards to the first shot of the film. For my review of Star Wars: Episode I – The Phantom Menace, click here. For my review of Star Wars: Episode II – Attack of the Clones, click here. 142 mins. Rated PG for sustained sequences of sci-fi action/violence. Happy Star Wars Day, and May the Fourth Be With You. 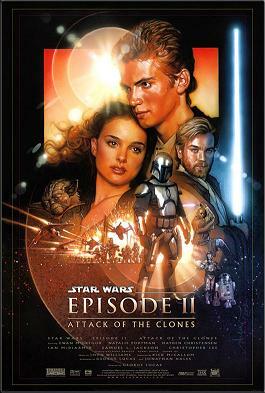 Today we will look back on Star Wars: Episode II – Attack of the Clones, from director George Lucas (American Graffiti, THX 1138). 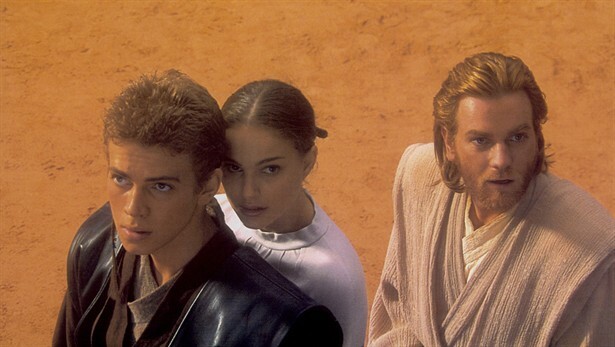 Ten years after the events of Star Wars: Episode I – The Phantom Menace, Anakin Skywalker (Hayden Christensen, Jumper, Vanishing on 7th Street) and his master Obi-Wan Kenobi (Ewan McGregor, Trainspotting, Mortdecai) have been called to Coruscant to protect the former Queen, Senator Padme Amidala (Natalie Portman, V for Vendetta, Knight of Cups) against those who wish to assassinate her. As Anakin and Padme grow closer, Obi-Wan finds himself getting closer to the truth as he encounters the sinister Count Dooku (Christopher Lee, The Lord of the Rings: The Fellowship of the Ring, Dark Shadows) and an army of clone troops trained to be an Army of the Republic. The second in George Lucas’ prequel trilogy fixes a lot of the problems that the first film had, though not all. I love the tone of the film as it shifts from mystery to romance to war to fantasy and back to mystery. The tonal shifts keep the film invigorated and interesting. McGregor and Portman turn in excellent work as Kenobi and Amidala, as do Ian McDiarmid (Sleepy Hollow, Dirty Rotten Scoundrels) as Chancellor Palpatine and Samuel L. Jackson (Pulp Fiction, Avengers: Age of Ultron) as the Jedi Master Mace Windu. New character Count Dooku is excellent and terrifying. Hayden Christensen is a better Anakin than Jake Lloyd, but not by much. He is by far the biggest problem here. As always, George Lucas presents us a stunning vision of his galaxy. The film is stitched together nicely and is beautifully scored. There are a lot to love here. Now the aging of the special effects is noticeable here and could have been avoided with a more practical touch. I miss the look of the original films, but I can deal with it. Attack of the Clones is a fantastic Star Wars event. It has a few detractors, but it is lovely nonetheless.